Princess Eugenie’s wedding, which is set to take place in a month’s time, will have a stricter dress code than Meghan Markle’s wedding to Prince Harry, according to Town and Country. 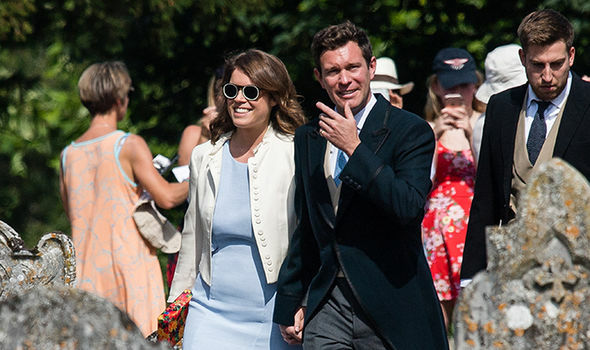 Whilst women attending Eugenie’s big day will still be wearing day dresses and hats, men will be required to wear morning coats. At Meghan’s wedding to Harry in May, men could wear military uniforms, morning coats or lounge suits. 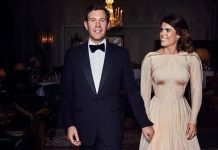 However, Eugenie’s fiancé, entrepreneur and former club manager Jack Brooksbank, has not served in the military, so will be wearing a suit and the other guests are expected to do the same. It is traditional for British men to wear a morning coat to weddings, and it has been speculated that the addition of lounge suits at Meghan and Harry’s nuptials could have been for their American guests who may not have been familiar with the tradition. Eugenie, ninth in line to the throne, will be tying the knot in the same chapel as Prince Harry – St George’s Chapel in Windsor on October 12. 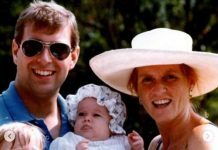 The 28-year-old is the younger daughter of Prince Andrew, Duke of York, and his ex-wife Sarah Ferguson. Fergie is reportedly nervous about the day, especially having to see her former father-in-law the Duke of Edinburgh, who is said to have never forgiven her after her 1992 separation from Prince Andrew. 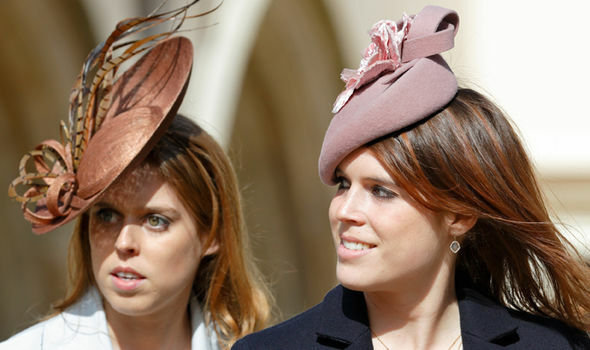 Princess Eugenie’s wedding is set to be a large and lavish affair with 850 invitees – 250 more than Meghan and Harry. Famous invitees include Robbie Williams, David and Victoria Beckham, George and Amal Clooney, and of course Elton John. A further 1,200 members of the public will be allowed into the castle grounds to see the arrival and departure of the newlyweds. The ceremony will be preceded by a carriage procession and followed by a two-day wedding party at Royal Lodge. According to Vanity Fair sources, the idea for the carriage tour came from the bride’s parents. One source said: “Andrew and Sarah have been very involved with the planning, and they both want this to be a full-scale Royal wedding. “They were very keen for Eugenie and Jack to have a carriage procession. The day will be unique in a number of ways – for example there are reports that it will be plastic-free, in line with the Princess’ environmental values. Next articlePrince William and Kate: What food did Wills reveal he and his wife LOVE?